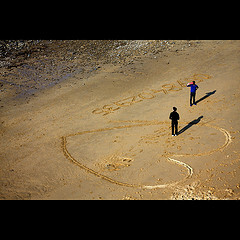 If you are going to travel France for your hot honeymoon vacation, start in St. Malo. Are you considering a honeymoon? Perhaps you're married and are going on a second honeymoon, or maybe you're just engaged. Either way, there is never a wrong time to go out and enjoy yourself with the one you hold most dear to your heart. Life is all about spending time with the people you love and having blast. 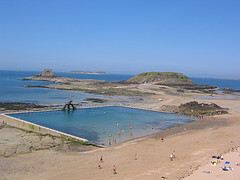 One of the places you might consider visiting while planning your upcoming honeymoon is St. Malo, France. This is a coastal vacation spot that provides a beautiful romantic vibe and a stunning view of the ocean. Here, you'll be able to get away and relax, cuddle, and enjoy the time you've been given with one another all while taking in the lovely appeal of the sea side. What makes it even more special is that this particular area is none like you've ever seen before. There's even a pool where ocean water flows in each day. No matter where you step foot in this dreamy escape, you're bound to experience the time of your life. Obviously, what makes your honeymoon vacation so much more heavenly is that you're with the one you've chosen to spend the rest of your life with. It's vacation spots like these that make it all worthwhile.